Our very first Trader Joe's review was Cowboy Bark, so when I spied this bag of CowGIRL Bark on our last visit, I just had to pick it up. To tell you the truth, I felt a little bad about buying it. The base is white chocolate, and I am so not a white chocolate girl, but...the bag is PINK and the name is so cute. I couldn't help myself. 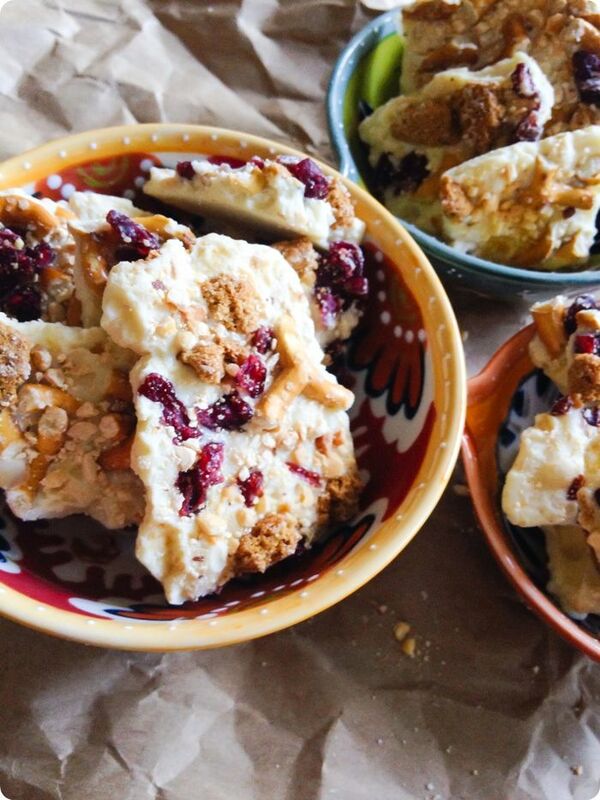 Trader Joe's describes this as "Cowgirl Bark offers you an unexpected and adventuresome treat...white chocolate with crisp rice, triple ginger cookies, pretzels, cranberries, almonds, and peanuts." The 8-ounce will set you back $3.69. A mom's (my) take: As I said before, I am not a white chocolate girl. This Cowgirl Bark might have just converted me. I LOVED it. It's the perfect combination of sweet and salty. The crisp rice gives extra crunch, while the cranberries add some chewiness. The ginger cookies and the white chocolate play nicely together. I'm sold. 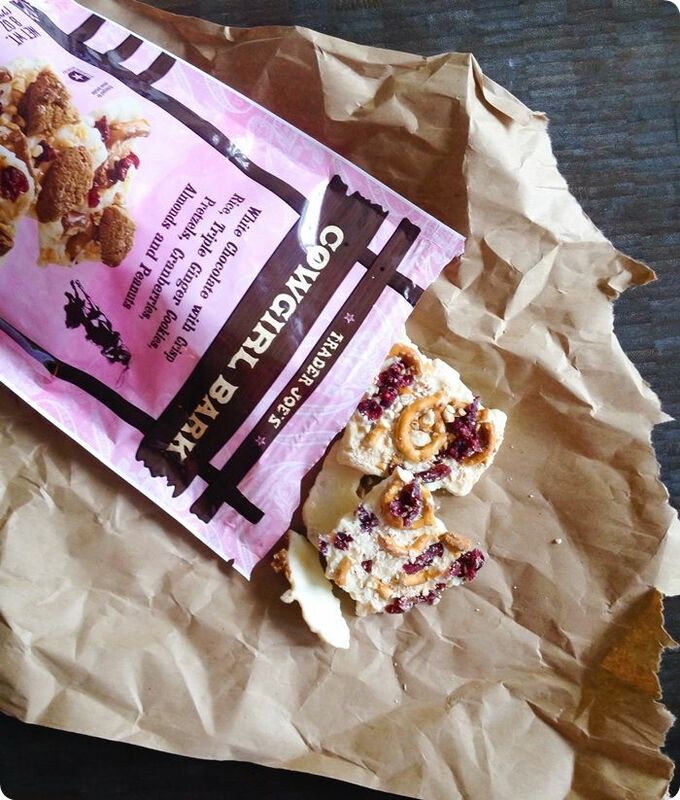 Trader Joe's Cowgirl Bark: mosey on over to TJ's and rustle some up for yourself! 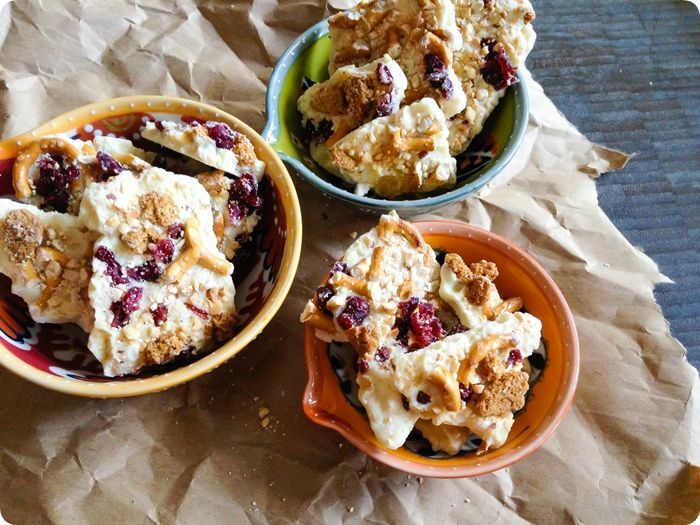 Want to read more of our Trader Joe's dessert reviews? Click here. Ohhhh this looks SO GOOD! I've never seen this at Trader Joe's!!!! Looks so so delicious! I'm so glad you reviewed this. 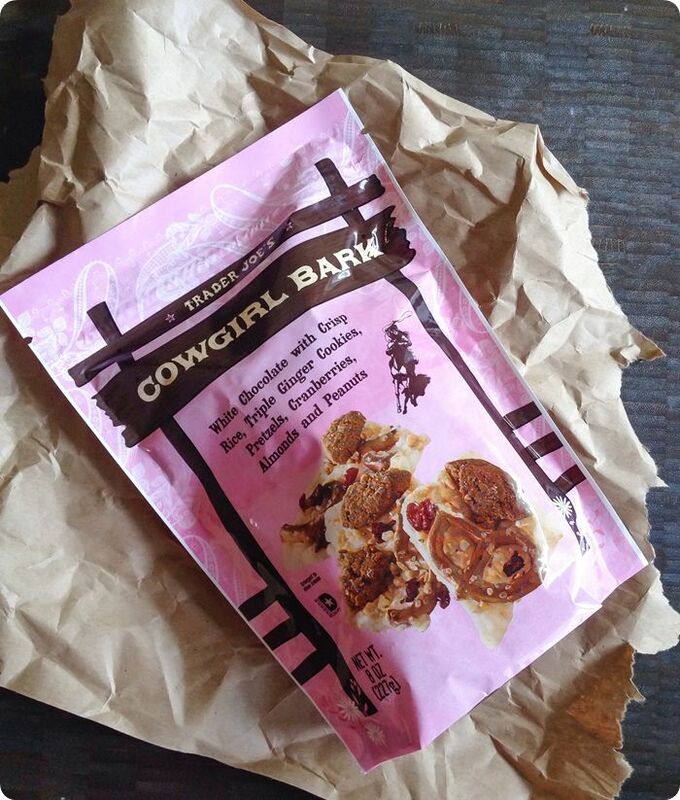 I just saw the cowgirl bark in TJ's a couple of days ago, picked it up, thought about it, but then decided I'd ask you to review it before I made the investment haha :) I love cowboy bark SO much that I really wanted to love this too, but the description just didn't quite interest me as much, despite the adorable packaging. I usually do like white chocolate, so I will give it a go and see for myself! I'll have to look again, but I don't think it has come out yet in our store. I will look for these tomorrow morning. So glad your posts always come right before my trips to Trader Joe's! I bet I would love that!! !